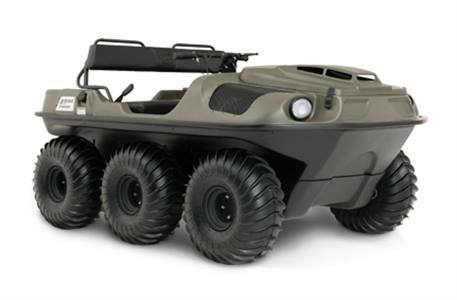 With significant updates for 2018, the Argo Frontier Series models look to continue to build on the strong heritage that has helped them to become Argo's bestselling amphibious six-wheeler in company history. 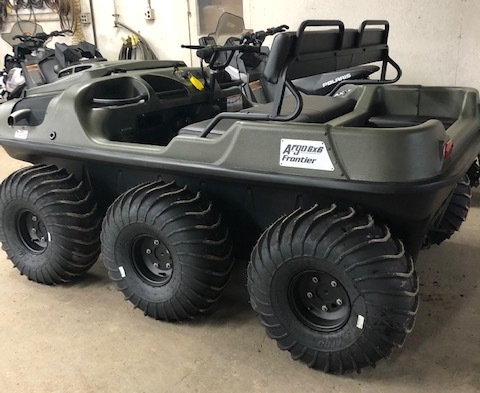 Offering incredible versatility and value, the revamped Argo 6×6 Frontier models make off-road riding approachable, easy and fun. Final Drive: RC60 roller chain drive to all 6 axles. Body: Vacuum formed High Molecular Weight Polyethylene (HMWPE) on-piece lower body.